from interview in The Guardian. Dean said his job also involves giving advice on planning applications to councils to “make sure the historic environment is taken into account in plans.” He could also be asked to assess uncovered human remains. An excavation he was about to start was on Cannock Chase. There, he would guide volunteer helpers to uncover an army camp and its inches-tall model of a Belgian village used as a training aid for soldiers preparing for an important First World War battle. 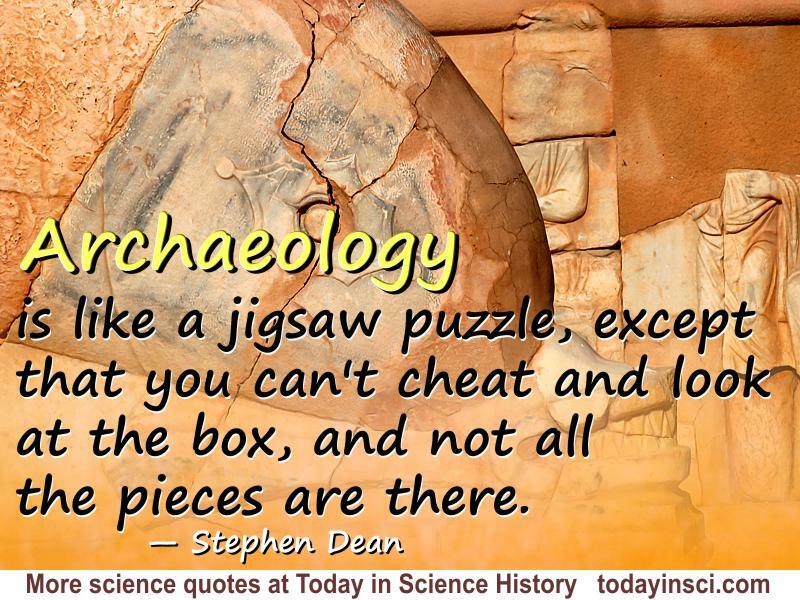 Science Quotes by Stephen Dean.